A trust is the formal transfer of assets (it might be property, shares or just cash) to a small group of people (usually two) or to a trust company with instructions that they hold the assets for the benefit of others. If the trust is to be made in your lifetime, to take immediate effect, then it is usually evidenced by a trust deed. If it is to be created on or shortly after your death then the trust provisions must be set out in your Will – a ‘Will Trust’. Whether by lifetime settlement or by Will, the trust document states who are responsible for looking after the gifted assets (the trustees), who are to benefit (the beneficiaries) and any rules or conditions that the trustees and beneficiaries must adhere to. 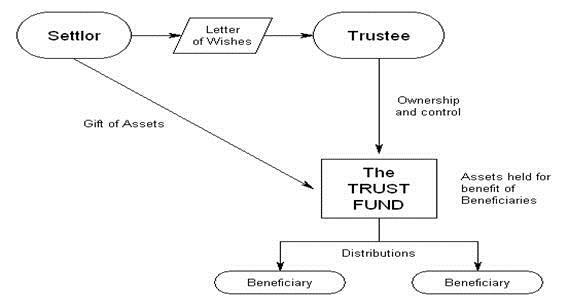 Additionally it must specify clearly the initial trust property sometimes called the Trust Fund. Trusts are an excellent way to preserve and protect the family’s assets and safely pass them down to the next generation. Trusts continue to provide significant inheritance, capital gains and income tax benefits as well as provide the flexibility to ensure that changing family situations are taken care of. For further information on how you can use trusts to protect yourself and your family, get in touch with our team. We offer a wide range of trust types and can advice on the best approach for your situation.